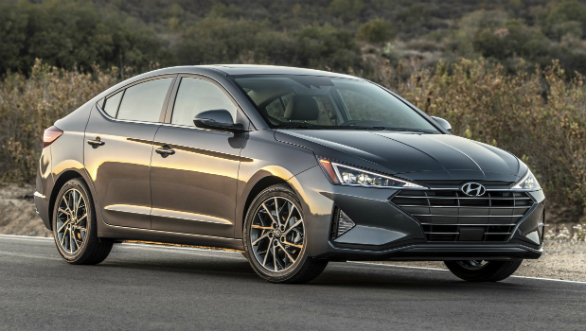 The facelifted Hyundai Elantra, spy images of which have bee circulating on the internet for some time now, has finally been unveiled internationally. The car gets a fairly substantial styling upgrade for a mid-cycle refresh. The front end design is much more angular now. The sharp triangular LED headlamps and the new larger trapezoidal grille are the major changes. The front bumper and fog lamps too have been updated to reflect this new design theme. In profile, there don't seem to major changes other than a new alloy wheel design. The rear again has had a lot of work done to it in the same angular theme. There is a new boot lid, new taillamps and a bumper that now incorporates the number plate housing. The tail lamps look especially detailed with new LED detailing. The interiors get a minor refresh with a new steering wheel, a new pattern for the gauges, chrome inserts for the aircon vents and a new layout for the climate control buttons. 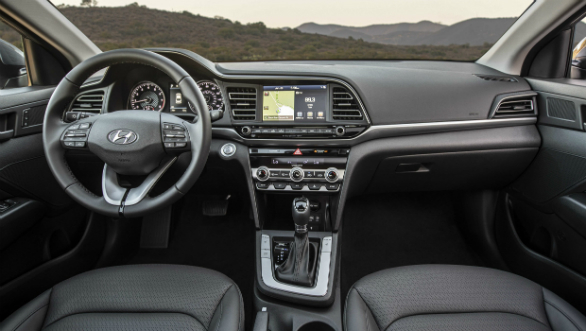 A new infotainment system and wireless phone charging round off the changes on the inside. Significantly, the international spec car gets a host of safety features with this new upgrade. These include a forward-collision warning with automatic emergency braking, blind-spot monitoring, lane departure warning with active lane control and rear cross traffic alert. Engine options have been carried over from the previous car. This means that the 2.0-litre four-cylinder petrol motor with 152PS/192 Nm and the 1.6-liter diesel 128PS/260 Nm continue as is. Transmission options are a 6-speed manual and automatic. 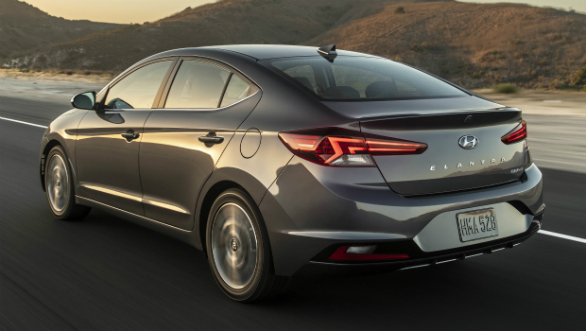 Internationally, the Elantra is also available with a 1.4-litre and 1.6-litre turbocharged petrol motor which put out 130PS and 204 PS. Hyundai India is expected to bring the car to India by the middle of next year. The new edgy styling will see compete aggressively with the upcoming Honda Civic, as well as established rivals like the Toyota Corolla and Skoda Octavia. 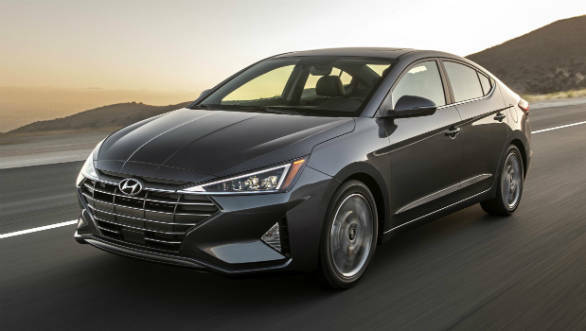 The new car will likely build on the qualities of good features and engine refinement of the earlier car but it would do good to improve on the ride and handling package of the last car.